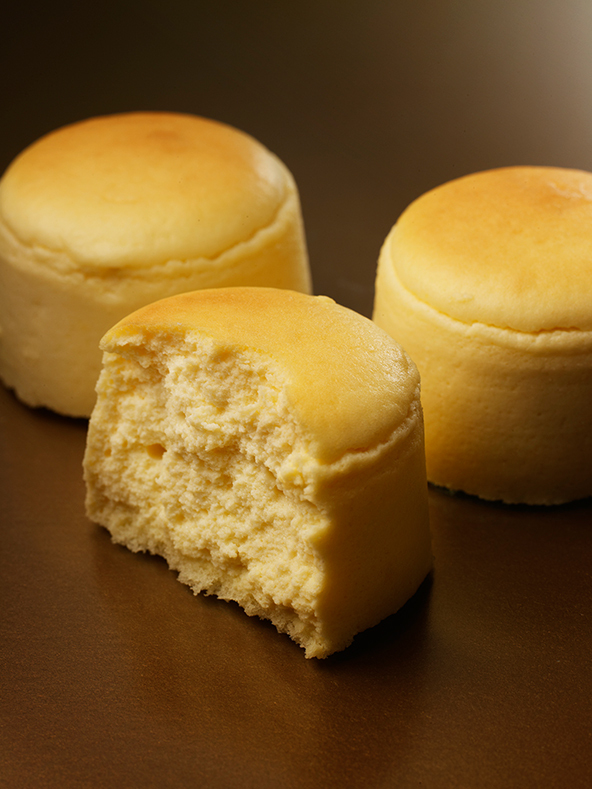 After our roll cake and pudding, the third product to bear Koyama name is a small cream-colored cheese cake. With a minutely textured souffle crust, the cake melts in your mouth like a light snowfall. 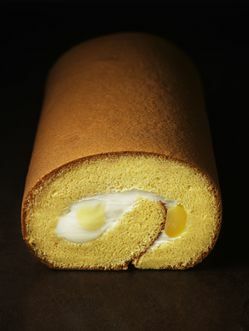 And with a magnificent blend of two types of cheese(Kiri from France, and a Hokkaido-made brand famed for its freshness),the cake is defined by its special body and tart flavor.The slightly fruity fragrance and subtle aftertaste is created by including a touch of sweet dessert wine from the Sauternais region. The small but rich gateau with a creamy, milky taste that is sure to please is the product of high-qualiy cheese. The es Koyama specialty label is always signifield by the word "Koyama" on the package. This is a mark of quality indicating Chef Koyama unreservedly recommends and stands behind the product. 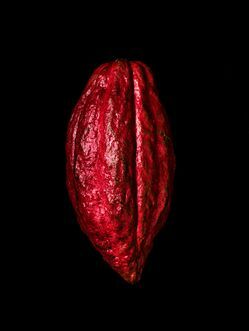 "As the alcohol content is highly diluted, children can also enjoy the treat. Koyama Cheese is the product of over three year's work and comes to you with our total satisfaction. Over that period, the sole purpose of our tireless pursuits was exquisite taste. In about 2007, almost by accident, we embarked on a plan to develop the ideal cheese cake. But just as we seemed to be on the verge of realizing our goal, we were suddenly faced with the harsh reality that, due to some import problems, we threw out all of the recipes we had developed and started all over again with new materials. After three long years of work, we finally arrived at a solution ? a blend of cheeses from France and Hokkaido. The first was made by the famous Kiri company and the second was an extremely fresh cream cheese from the Donan region of Japan's most northerly island. With these two ingredients, we arrived at a souffle crust that is notable for its rich body and a deeply milky, slightly tart flavor. With a single bite, the excellent taste fills you with a fluffy sense of happiness ? like a special gift from the vast and fertile ground of Mother Hokkaido. Behind es Koyama's third speciality is long period of trial-and-error and the challenging spirit of our patissiers, whose incessant need to develop new sweets has now paid off.